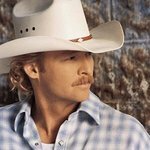 Country superstar Alan Jackson will headline the 5th Annual “Stars Go Blue” benefit on Wednesday, March 20 at the Ryman Auditorium in downtown Nashville. Jackson’s rare, intimate performance at this historic music venue will be hosted by the oldest and largest national colon cancer patient advocacy organization, the Colon Cancer Alliance (CCA). All proceeds from the concert will benefit the CCA’s Blue Note Fund, helping colon cancer patients in need, a program founded by Nashville’s own Grammy-nominated artist/producer Charlie Kelley. The CCA holds the “Stars Go Blue” concert annually in support of National Colorectal Cancer Awareness Month. During March, organizations across the nation will place an emphasis on educating the public about colon cancer prevention and detection. Tickets for “Stars Go Blue” go on sale Fri., Jan. 18 at 10:00am Central and can be purchased at all Ticketmaster locations, Ryman Box Office, www.ryman.com and by calling 800-745-3000. Tickets are $75, $45 and $35. Alan recently released a limited number of copies of his book Seasons of Sweetbriar – A Photographic Collection of Home by Alan Jackson. Seasons of Sweetbriar can be purchased through www.alanjackson.com for $25 or $50 for a book autographed by Alan, while supplies last. 100 percent of proceeds will be donated to the CCA’s Blue NoteFund.